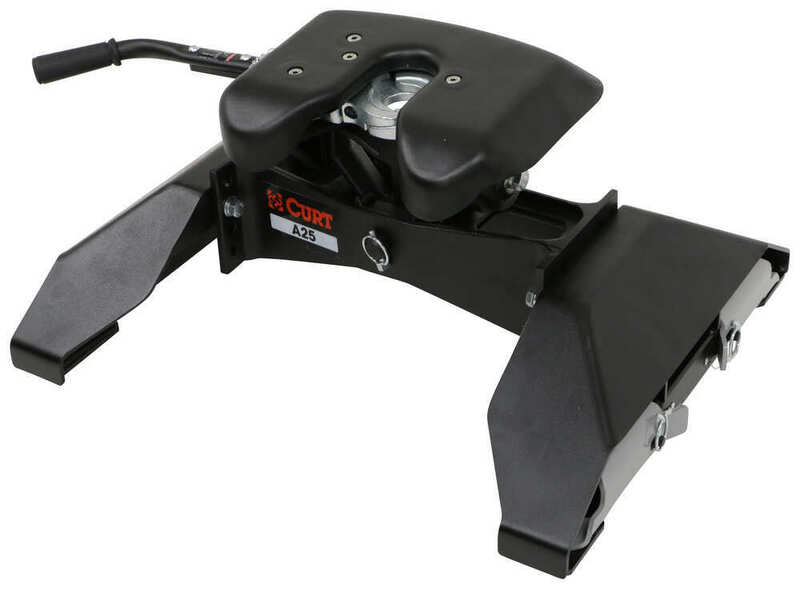 Heavy-duty fifth-wheel trailer hitch has interlocking jaws and a color-coded lock indicator for superb safety and security. Torsion head offers easy hookup and quiet, stable towing. Legs mount to Chevy/GMC OEM underbed platform. 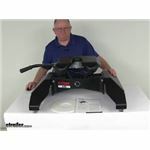 Call 800-298-8924 to order Curt fifth wheel part number C16066 or order online at etrailer.com. Free expert support on all Curt products. 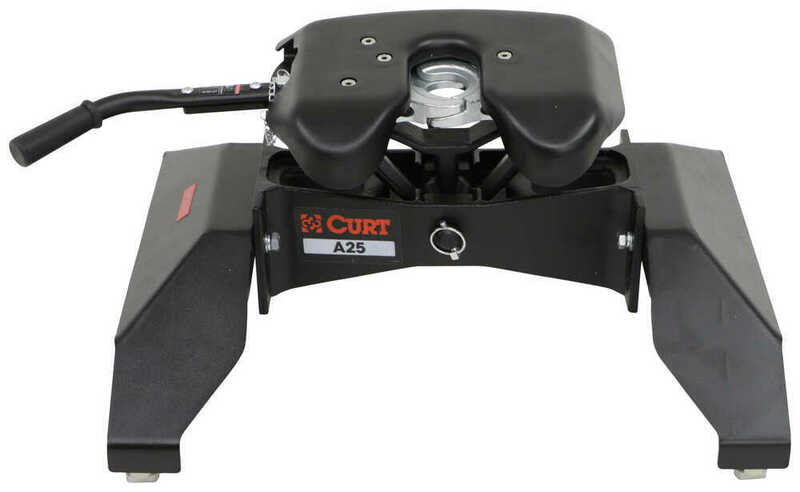 Guaranteed Lowest Price and Fastest Shipping for Curt A25 5th Wheel Trailer Hitch for Chevy/GMC Towing Prep Package - Dual Jaw - 25,000 lbs. Fifth Wheel reviews from real customers. 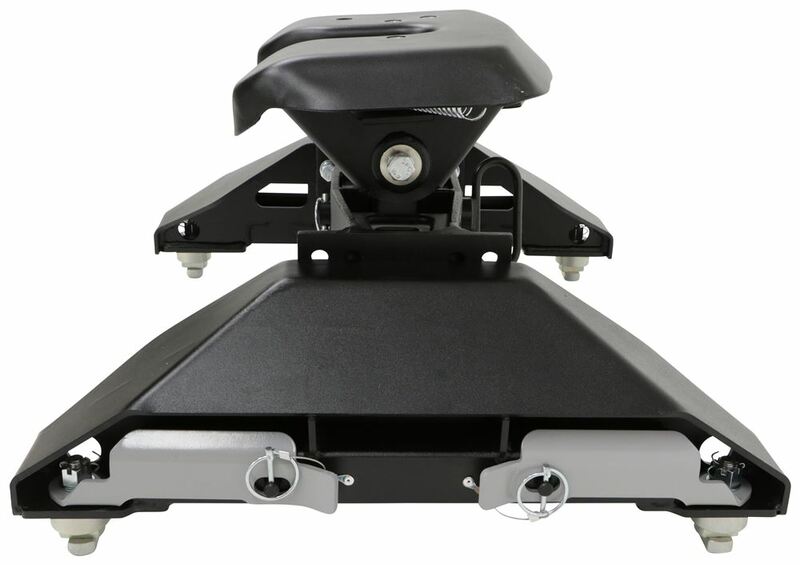 Hitch height: 13" - 17"
Note: This fifth-wheel hitch is compatible with rotating pin boxes, such as the Reese Sidewinder, Reese Revolution, and 5th Airborne Sidewinder, only when used with a wedge (sold separately). 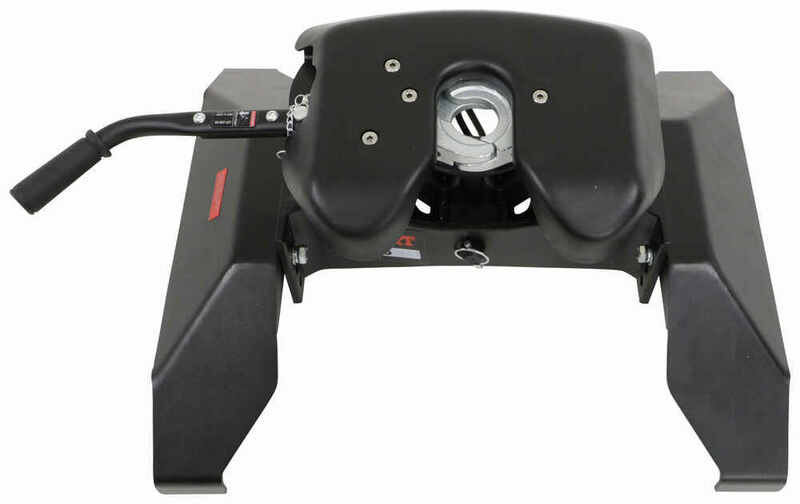 Unlike slide-bar models, the rounded, interlocking, two-piece jaw on this fifth-wheel trailer hitch inhibits rattle and movement by securely wrapping around your trailer's king pin, resulting in easier hookup and a safer, quieter ride. 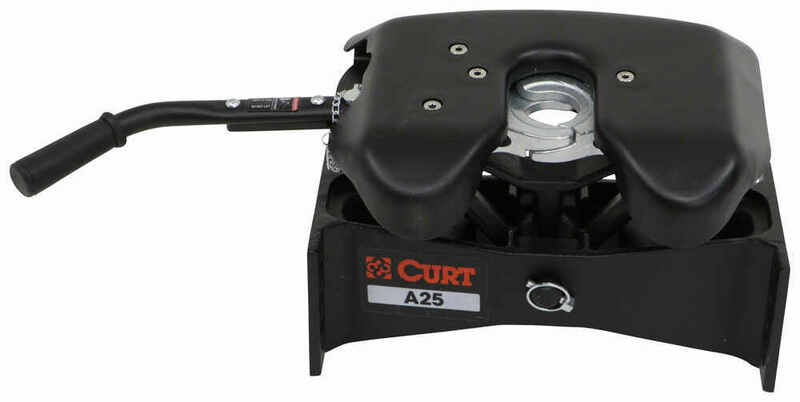 Speaker 1: Today we're gonna look at the Curt A25 Fifth Wheel Trailer Hitch for Chevrolet GMC Towing Prep Package. It has a 25,000 pound weight capacity. This is a custom fit part. It is designed to fit the 2016 and newer Chevrolet Silverado and GMC SR2500 and 3500 trucks with the factory installed towing prep package. And on a custom fit part I always like to recommend for you to go to our website, use our fit guide, put in your year and model, vehicle and it'll show you if this will work for your application. 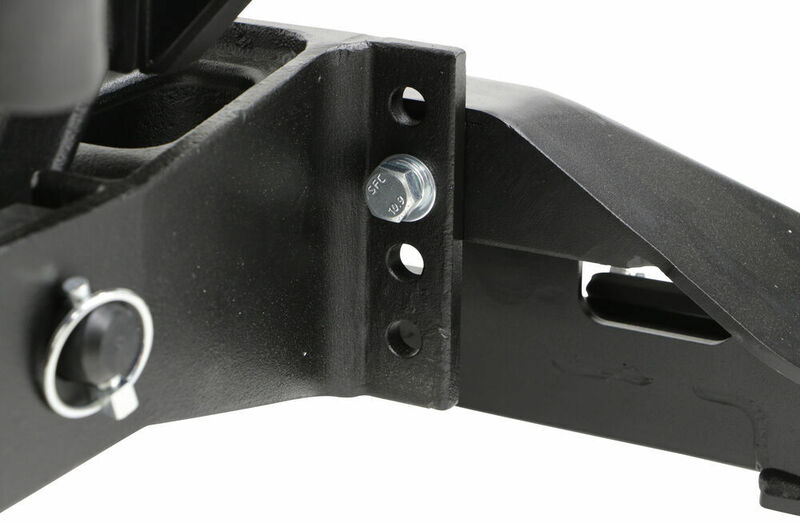 Now this fifth wheel hitch is designed to mount into your truck bed so that you can tow your fifth wheel trailer. Uses an interlocking 2-jaw system here. Provides a nice 360 degree jaw to king pin contact. Gives you less rattle, more security than the slide bar models. The head on this hitch is a fully articulating head, which will move in all directions, instead of just front to back or side to side. It gives you much better control coupling and a stable, quiet ride. It does self-align for easy hookup. Suppresses any road shock and it does reduce the bothersome towing noise.The handle here that opens the jaw is a single throw handle to open the dual jaws. Basically all you have to do is take the pin and clip, pull it out, slide it back and the jaws pop right open. The pin and clip here, that's to keep the handle in the closed position. Once you remove that, your handle's ready to open. 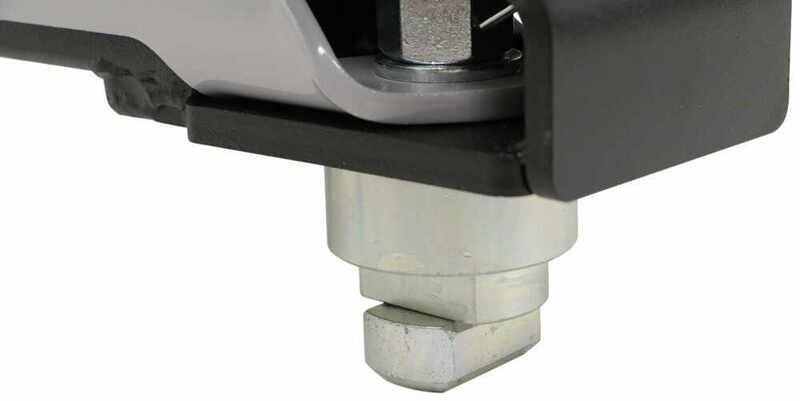 The handle will self-reset to the ready to couple position after you uncouple your trailer. And the handle can be locked with a padlock for added security. The hole that this pin and clip goes through is large enough that you could put a padlock through there. We do sell the padlocks separately on our website. If you notice on the jaws in front here, right on the front of the jaw, there's this grease zerk fitting over here and one right over here. Those built-in grease zerk fittings give you easy lubrication of the jaws. And one of the main features on this hitch is the 3-point, color coded lock indicator system. What that does is it ensures secure towing because what it does is it gives you a color coded system down here, that by sitting in the cab of your truck, if you turn around and look at what shape and color is showing, it tells you the position of the jaws.What I'm going to do is we're going to rotate this around so I can describe it to you and you can see what it looks like. I think we've got this turned around. You'll be able to see. Here's your color coded system. And basically if you'd be looking right here, that's what you'll be looking at. You can see right now it has a green circle. That means these jaws are locked closed, you're ready to tow. If it showed a yellow triangle, that would means the jaws are open, you're ready to coupler. So what I'm going to do is just show you that. And you'll notice right here this word will change. So if we take the pin and clip, remove it. And again, I pull the handle out, rotate it back, the jaws pop open, you can see the yellow triangle shows up, which means the jaws are open, ready to couple. Now is a red octagon would show up there, that means the jaws are locked open. It's uncoupled. You do not want to tow in that position. It'll usually self-reset from that position. And again, as I mentioned, these shapes and colors are visible from the cab.Just by turning around, looking at the back of the hitch or head right here, it'll tell you the position of the jaws. This is a very fast, one pin head removal. If you only have one person around, if you're by yourself and you want to take this off, you don't need a couple people. All you have to do is unclip the clip over here, pull this handle with the large pivot pin out, you'll be take the head out, take the cross member off, take the legs off. So one person could disassemble this whole hitch. Now it does have a 4" hitch height adjustment that's available. If you look right here, there's two bolts that hook to the legs. Let me turn it just a little bit. These bolts, you can see there's four rows of holes, so when you go to mount this cross member to the legs, you can put it in different positions. 4" hitch height adjustment, anywhere from 13" to 17" and that's measured from the truck bed to the top of the hitch head.Now hitch height is important because when you go to tow your fifth wheel, you want it to be a level as possible with your tow vehicle. So that hitch height adjustment is critical. Let me spin this back around. 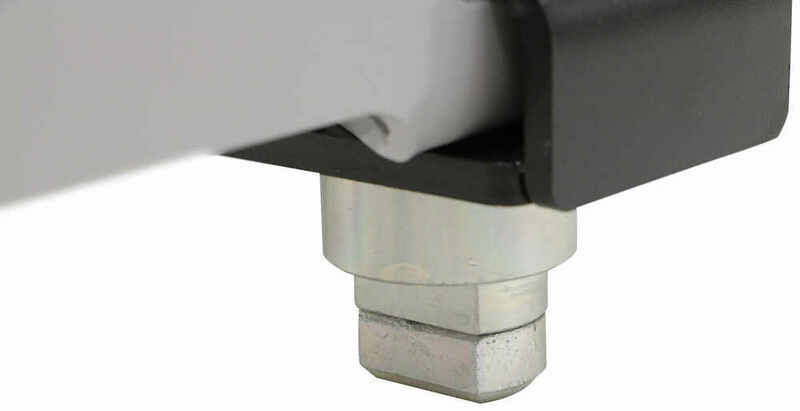 Now it does come with this included plastic lube plate that you king pin, you put this on your king pin and it'll let that king pin glide smoothly into the hitch during the hookup, prevents any messy grease buildup. All the installation hardware is included. Comes with even this nice detailed instruction manual on how to put it together and how it operates. This is constructed of a sturdy steel. It has a nice durable carbide powder coat finish to it. To install this into your vehicle, it's a very fast, easy installation. All you have to do . Let's turn it just a little bit so you can see what I'm talking about right here. 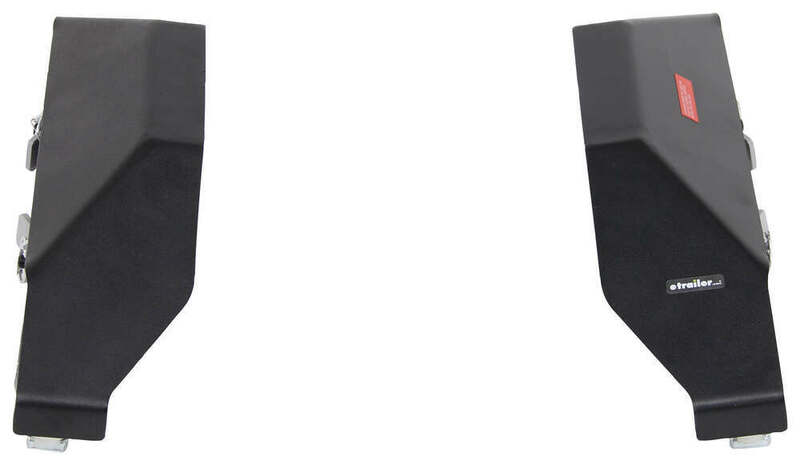 There's these handles at each corner, you just pop the pin and clip out, rotate that handle 90 degrees, rotates that tab and if you do that on each corner, that'll allow you to drop it into the receiver pucks that are built into your factory under bed rails.Once it drops in, rotate the handle back on each corner. That'll lock it in and then put the pin and clip to lock the handle down. So just like that, super fast and easy to install it and to remove it. You just do the opposite. Open it up, pull it out. Now, specs on this again, the application this is for, 2016 and newer Chevrolet Silverado, GMC SR2500, 3500 trucks with the factory installed towing prep package. Gross towing weight capacity again is 25,000 pounds. Now you do have to remember the capacity will be limited to your lowest rated towing component. Vertical load limit on this is 6,250 pounds. The hitch height adjustment we mentioned is anywhere from 13" to 17". 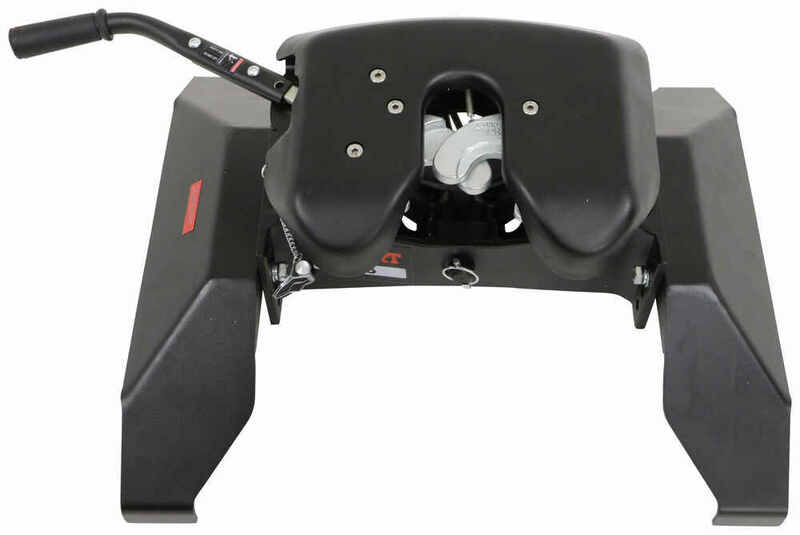 One note I do want to mention is that this fifth wheel hitch is compatible with rotating pin boxes, such as the Reese Sidewinder, Reese Revolution and the Fifth Airborne Sidewinder, only when you use it with a wedge. And we do sell those separately.Last think I want to show you is how the jaws will work. If you remember when I opened this up so it's showing a yellow triangle back here, the jaws are open, ready to hook up. Here's an example of a king pin, what it would be like on your fifth wheel. So what happens is that king pin goes into the dual jaws and once it gets far enough back, both jaws will lock into place. You'll notice the handle move forward. So it's all ready to go, look back here at your color, it's a green circle, so that means you're locked closed, ready to tow. Take your pin and clip . there we go. Drop the pin through, clip it and that locks the handle into place and you're all ready to go. To release it, just remove the pin and clip. Now hold onto this because when you pull it, it'll release it just like that. 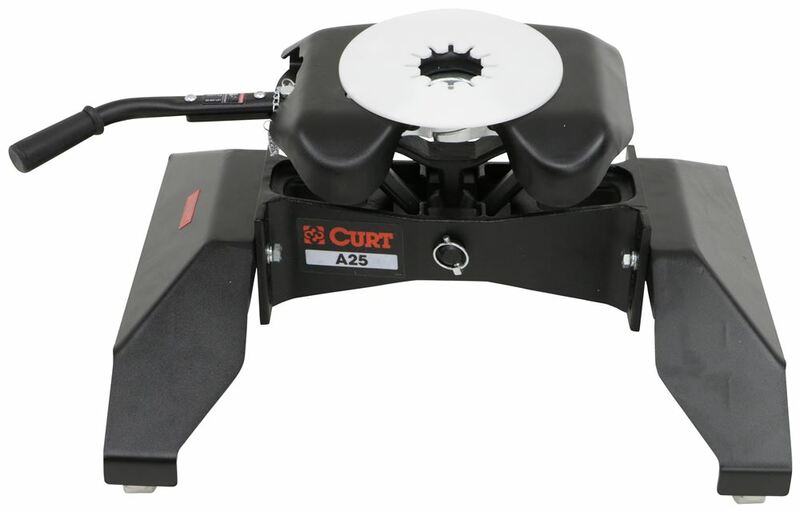 But that should do it on the Curt A25 Fifth Wheel Trailer Hitch for Chevrolet and GMC Towing Prep Package with 25,000 pound weight capacity. 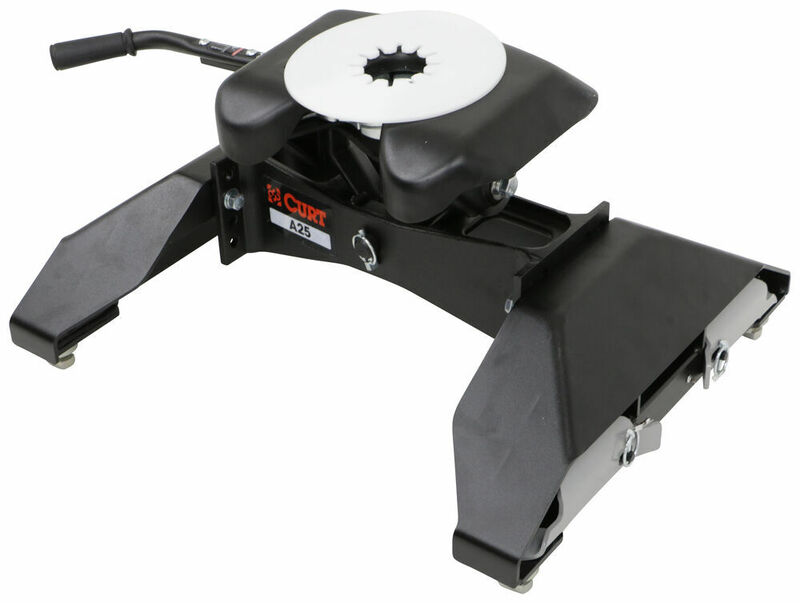 Order: RelevanceNewestRating - High to LowRating - Low to High Heavy-duty fifth-wheel trailer hitch has interlocking jaws and a color-coded lock indicator for superb safety and security. Torsion head offers easy hookup and quiet, stable towing. Legs mount to Chevy/GMC OEM underbed platform. First tow with a heavy trailer went great. Easy to hook it up east to un-hook. No problems so far. Still 5 stars! A well made solid hitch. Easy to install and remove. I use it on a regular basis to pull a 42’ toy hauler with a 2016 crew cab F-350. 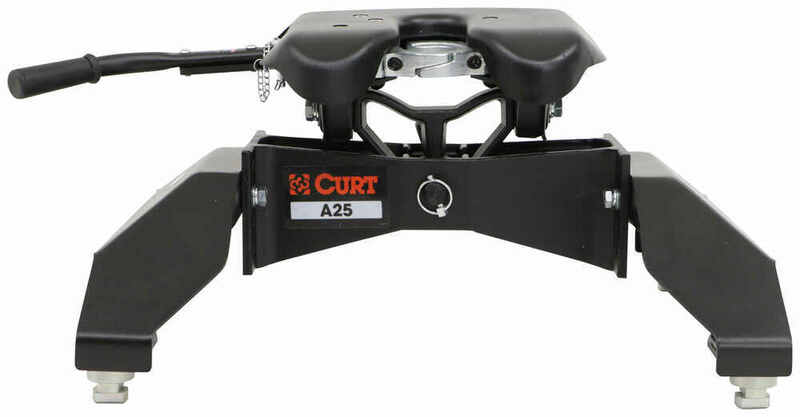 The Companion hitch part # BWRVK3300 is a great hitch but if you need a higher capacity hitch you'd instead want the Curt A25 part # C16066 which fits the factory rail kit of your 2018 GMC Sierra 3500 and has a 25k capacity as well as Curt's latest version of their Q series hitch head/jaw. 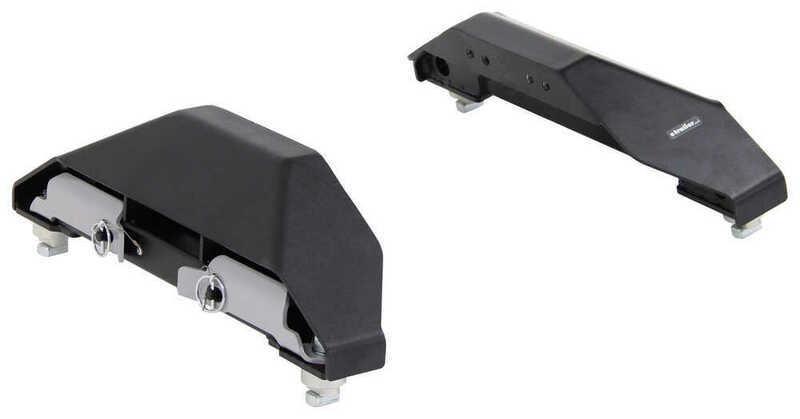 For your Chevy Silverado 3500 we have fifth wheel hitches that fit directly to the rail kit you have from the factory. 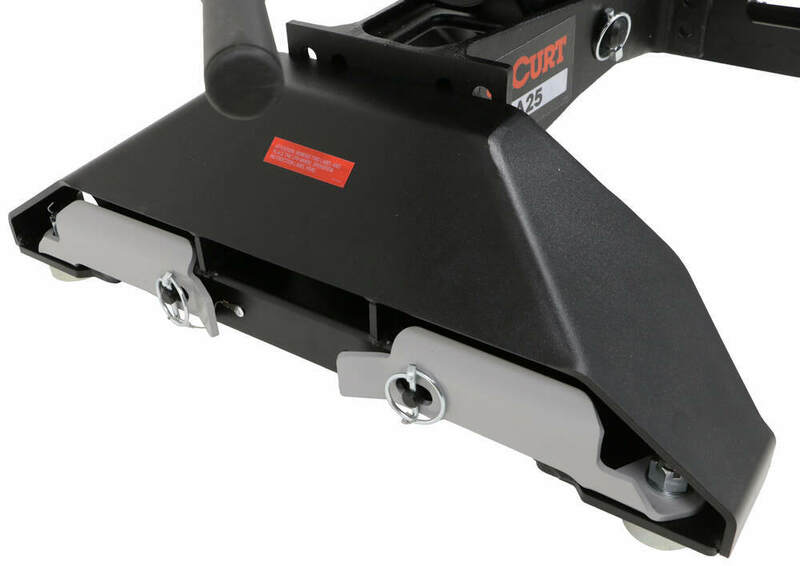 Since it sounds like you plan to tow some heavier trailers you'd want the highest capacity hitch we have for your truck which is the Curt A25 part # C16066. This fits the rail kit directly and has a jaw design that provides plenty of contact to the king pin so it offers a smooth and quiet ride. 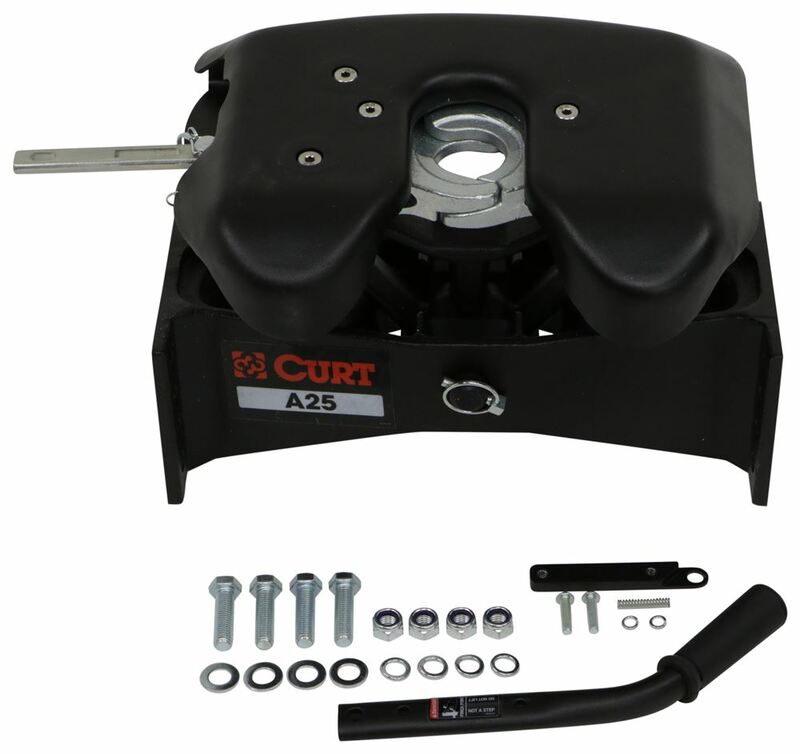 Yes, you can use legs # C16025 from your Curt 16K hitch with the Curt A25 head and center section # C16580. These same legs are used on several Curt hitches for the GM factory 5th wheel system. 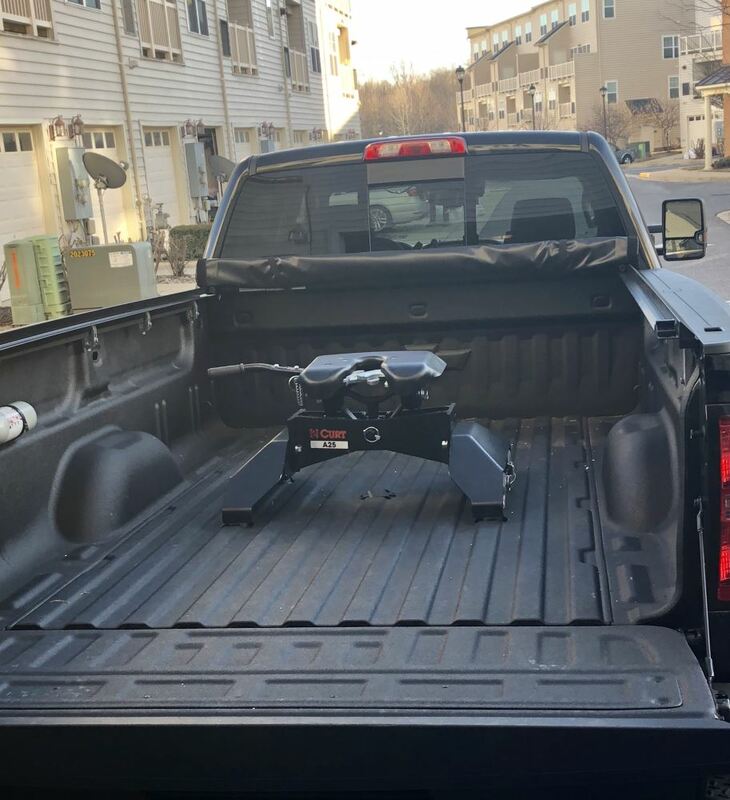 For your 2018 Chevy Silverado 3500 with the factory hitch prep package Curt does have quite a few hitches available and there are a few like the two you mentioned which are very similar in capacity so it's hard to know which is the "better" option. The best option though is the A25 part # C16066 which is the newest head design that has been tweaked for the best performance and reliability.